The 14th CAMDA conference will be held in Dublin, Ireland from Friday, July 10 through Saturday, July 11, 2015. As in recent years, CAMDA runs as a Satellite Meeting of the Annual International Conference on Intelligent Systems for Molecular Biology (ISMB/ECCB). The emergence of Big Data in the life sciences is considered one of the grand challenges of our time. The interpretation of large data sets is now one of the scientific key techniques in the post genomic era. Still the data analysis bottleneck limits genome scale experiments in providing new medical and biological insights at a larger scale. This trend towards the need for analysing massive data sets is further accelerated by novel high throughput sequencing technologies and the increasing size of biomedical studies. CAMDA focuses on the analysis and integration of the massive data sets now prevalent in the life sciences. It introduces new approaches and solutions to the Big Data problem, and presents new techniques in the field of bioinformatics, data analysis, and statistics for handling and processing challenging large data sets. By discussing cutting-edge problems and opportunities, the conference offers researchers from a wide range of fields a unique opportunity to benefit from a critical comparative evaluation of approaches to exploiting Big Data in the life-sciences. A toxicogenomics study with matched NGS and microarray profiles for the response of over 100 rat livers to 27 chemicals with 9 different modes of action. A synthetic reference benchmark with built-in truths, spanning multiple NGS, microarray, and qPCR platforms from the FDA SEQC. A selection of large-scale cancer studies of less well-understood diseases from the latest release of the International Cancer Genome Consortium (ICGC), including matched gene and microRNA expression profiles from RNA-Seq, somatic CNV, methylation, and protein expression profiles. Leading scientists from around the world are selected to present their analyses in talks, complemented by poster sessions. Papers based on the submitted extended abstracts submitted for presentation at the meeting are published in the conference proceedings. Starting with 2012, CAMDA has entered a partnership, publishing the CAMDA Proceedings as an open access PubMed indexed special issue of Systems Biomedicine (Taylor and Francis; formerly Landes Bioscience). As in last years, there will be prizes for the best contributed analysis / presentations. The three prize winners will receive a free one-year subscription to F1000Prime (worth $250) and a free submission to F1000Research (worth $1000). The first prize winner will additionally receive the prestigious CAMDA award. 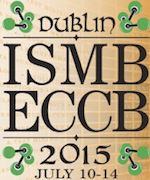 We cordially invite you to attend this year's CAMDA in Dublin! The conference dinner will take place at Mourne Seafood Bar. The Mourne Seafood Bar Dublin will be serving fresh locally sourced seafood right on the canal basin; delicious food with spectacular views both day and night. Click on the icon to download the CAMDA program! Click on the icon to download the extended abstracts.